Brand new house and granny flat with big back yard and timber decking , close to shop ,cafe ,school and station ,idea for young family with kids , plenty room in and out , pets friendly. Weekly rental includes water and gas, Internet and electricity are not included. You can choose to use our furniture or your own. Privacy and easy sharing common areas. Close to bus and train station, 25min to the City. The house is in an excellent location. Only 5 minutes walking to the station, shops, restaurants and cafes. The room has a built in wardrobe and a large private balcony at the front of the house. You will be sharing a large bathroom with one other female tenant. There is a fully equipped laundry and a small backyard. Just a minute walk to station. All the shops are right at your door steps. Large room available. Very quiet. Single room $180/w is available from 18/April. Brand new furnitures with queen bed $200 will be available from 27/June. Any gender is welcomed. A Japanese housemate to share the flat. Offering to a couple for additional $50. Come to have a look you would be happy to stay. The house is big and spacious, beautifully decorated! Fully equipped kitchen including a gas range. Heaps of DVD's in the living room if you enjoy your couch time. One main bathroom with a bathtub and an ensuite downstairs. Heaps of natural light and a great outdoors area with a BBQ. Your room is carpeted and perfectly sized with a built in wardrobe. Two windows which are located on the northern side of the house bring in lots air and of sun light while showing off the sunset. Bus stop is right outside the house or Mortdale station is a 15 min walk away. Heaps of restaurants around and only 10 minutes away from Crunch Gym and Woolworths. It's just a really awesome place to live! This apartment is spacious, modern, very well furnished with an excellent location. Shops,restaurants, cafes, train station and so much more all within a very short walking distance. Bed 2 &amp; 3 available as of 01.04.2019 All female share house. Currently 2 female flat mates staying with long term leases. 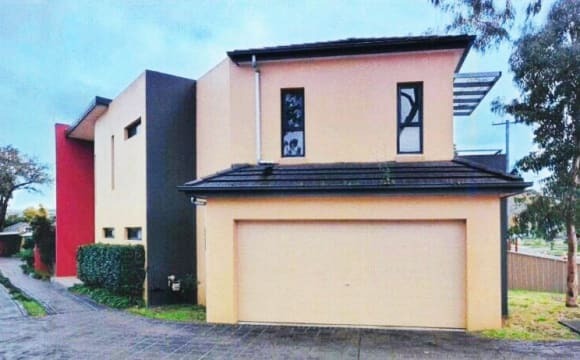 3 bedroom house, 1 room available 3.7x3.6m (with massive wardrobe) for rent, 3 min walk to Oatley station, 1 min walk to Coles (supermarket), estimated travel time to CBD is 20mins, the house is fully furnished (bed &amp; desk can be provided). Included: Telstra Ultimate Cable (super fast internet) Oatley if you don't know is a very safe and quiet suburb, you won't regret moving here. About me: I am an UNSW graduate working full time in construction project management. -Nice &amp; Bright Apartment -In Built wardrobes -Apartment is located 7 mins far from Penshurst train Station and 1 min away from the grocery store . 2 bedroom unit. 7 minutes walk to Station, great location and quiet complex, Big living room with nice couch and timber floor, your room is sunny and furnished. $200 p/w for single person, includes water, electricity and unlimited internet. you are just living with the simple owner. welcome to check out the place. Cheers. Clean , Finished double bedroom in a nice home , located within 10 minutes walk to train station, library and shops.These bedroom are private on the upper lever of the house. Two rooms for rent , one spacious room $260... one is good size double room$300. prices are negotiatiabe if you prefer a long lease period. All furniture and bills are included. shared kitchen and laundry facilities . ideal for working professionals and students, welcome to contact me for viewing. please leave your phone number. i will call you to discuss fully. 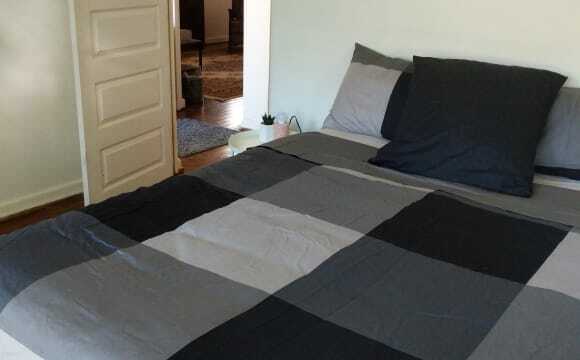 We are a couple looking for a female flatmate to share our second room. The single own furnished bedroom will be available from 15 April 2019. 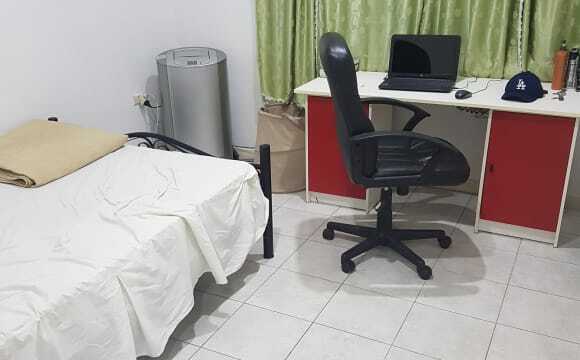 Minimum stay is 2 months, the room is ideal for student or working professional who is seeking convenient and clean at a reasonable price. The rent is $160 including internet bill. 2 weeks bond and 2 weeks rent required. Only 7 minutes’ walk to Penshurst train station and 2minutes to the bus station. You will be sharing the bathroom and brand-new kitchen. The unit is quiet well looked after clean and well presented. Very nice and safe suburb. Yet 30 minutes away from Sydney CBD. And 30 mintues from beautiful Cronolla Beaches. Oatley itself is famous for manynational parks. This home is 3 houses away from the park that you can walk in 10 minutes to the water with access to the sea. I'm offering one room in our three bedroom house with me in one and my other housemate Brad, in the third. It is a relatively large house, carpeted throughout. Built-in wardrobe in the room and view over the driveway. There are two separate train lines near by, Penshurst and Beverly Hills. 30mins into the city, faster on the limited stop trains. Cafes and shops not far away, and Hurstville Westfield not far either. Bathroom would be shared between you and Brad. There is a bar downstairs in the house and a toilet there as well (just need to stock the bar). Small, paved backyard with a balcony and BBQ. Great spot during the summer. Fan in the living room. Easy to lock up. Sadly our current flattie is heading back to the UK so a medium sized room with BIR is available in a modern and spacious apartment . Share with owner and one other. Features: 2 Huge balconies Gas hotwater and cooktop High ceilings with large windows Large open plan kitchen and living area Queensize Bed with pillowtop mattress is only 6 months old Sliding door opens onto large sunny balcony with private outlook Share main bathroom with 1 other person (male) 4 min walk to train station, (half of that is undercover) Coffee Shops, ATM, IGA, Chemist, Bottleshop etc all within 100 metres. About the Suburb: Penshurst is a 25 minute train to Townhall Station, or 30 minutes train/drive to Cronulla Beach. 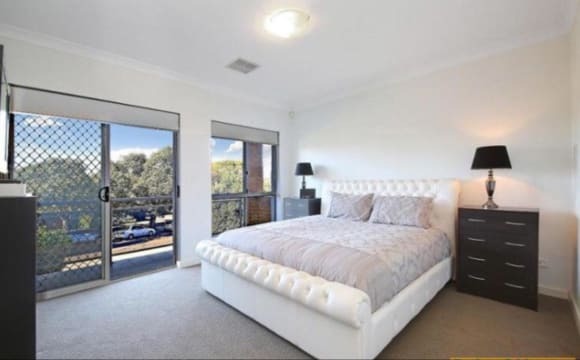 Best described as a low crime area with leafy quiet streets and only 5 mins away from Hurstville (good for shopping, not so good: noise &amp; crowds) ---- Plenty of on street parking, or there is a large council carpark a couple of doors down with unlimited parking from 6pm and from Saturday afternoon through the weekend. 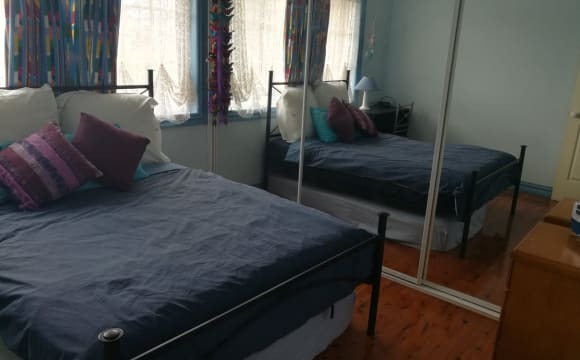 A large furnished room (5m x 4m) is available in a three-bedroom house close to Penshurst Station.The IGA supermarket and the village style shopping centre are also nearby. . 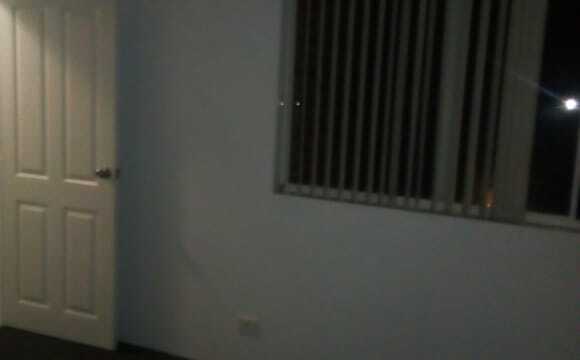 The room itself is fully furnished and the rent is $215 p w including power gas, Wi-Fi and water. 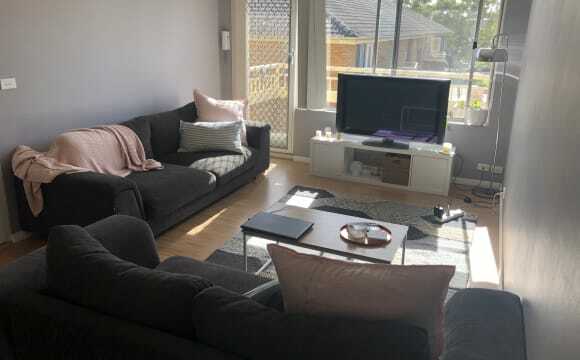 We get a cleaner in once a week for two hours to clean the common areas and we all put in $15 pw to pay for her.There is a lounge with a large screen TV,a professional coffee machine and a leafy garden with a gas barbecue.I also have a friendly cat and dog, so you need to be ok with pets. 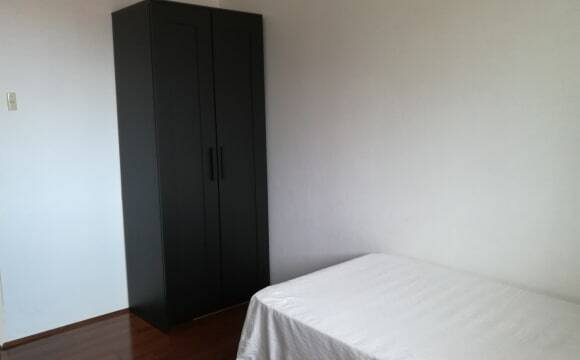 A decent size bedroom available with built-in wardrobe and king size bed in 3bedroom apartment. 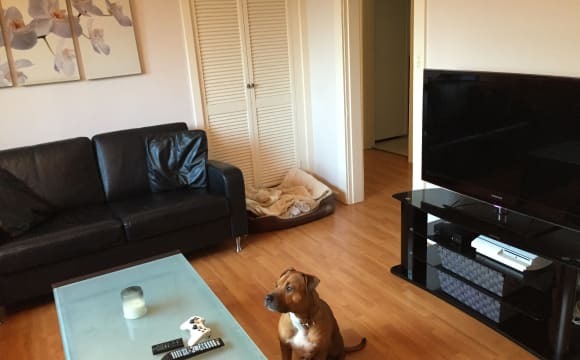 This is a very clean, big and fully furnished apartment with 2bathrooms, located in a quiet street just 3-4minutes walk from the penshust station, IGA &amp; local shops. Unlimited internet &amp; Electricity is included with the rent. Share this place with 2 very friendly, clean &amp; fulltime working and studying flatmates who respect other's privacy and expect the same. Please, do not hesitate for further info. Very sunny top floor flat with views of the park, floorboards and air con. Modern kitchen and internal laundry. Fully furnished throughout except for the room. Across the road from a park, 10 minute walk from Penshurst station and shops and right near Hurstville aquatic centre and gym. Bus stop right outside makes most nearby areas accessible. Plenty of parking on the street. Internet with unlimited data and downloads $40 per month. Electricity is extra and the bill comes quarterly but is very affordable. Really quiet neighbours with no issues so far. Landlord is very nice and fixes issues as soon as they arise. Free to move in around about early May 2019. I am super clean and tidy and like a minimalist approach to the communal spaces. 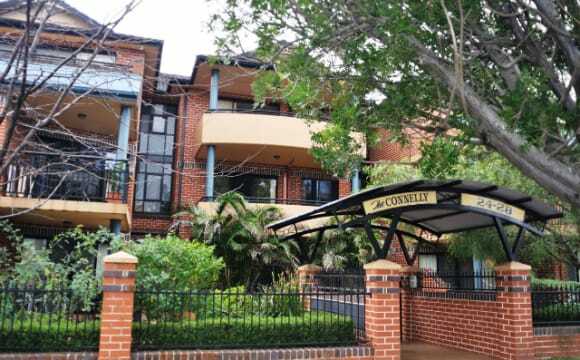 New, large and sunny one bedroom flat (total area 65 square meter) in one of the best street in Oatley West. Adjacent to river, water glimpses from living area, wonderful nature outlook, VERY quiet except sounds of birds. Open plan, large new kitchen, stone bench top, electric oven and electric glass cooktop, exhaust fan, separate pantry and fridge area, full new bathroom, ducted exhaust fan, separate laundry area (incl laundry tub). Very large bedroom incl storage/ TV area and dble mirror wardrope. Near Oatley Park and reserve. 20 mins walk to Oatley Train Station, 15 minutes walk to shops/ coles. Bus stop nearby if needed. On street parking (ample) Rent includes water usage Expenses: electricity (share of Internet expenses if internet required but it's optional). Income and rental references required. Suits single professional. Pet (strictly ONE cat) may be considered. Nice quiet street. Playground and reserve across the road. Within walking distance to train stations, shops, supermarkets, restaurants and cafes. Bus stops close by to surrounding areas, 10 mins bus ride to Hurstville. Large sunny and bright room. The room can be furnished with basic furniture or you may choose to have your own and create your sanctuary. Spacious house, open plan kitchen/dining. Two separate living areas, so plenty of space for everyone. Large sunny paved backyard. Nice quiet street, reserve/park across the road. 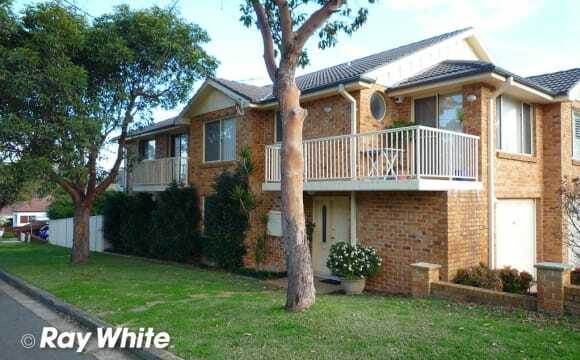 Approximately 15 mins walk to train stations (Riverwood or Narwee) and Riverwood plaza/restaurants/shops. Buses to Hurstville, Roselands, Bankstown and surrounding suburbs. Prefer housemates who are responsible and can clean up after themselves. The house is situated in a quite street. Close to trains and buses, so you can pretty much get transport to anywhere. Riverwood station is only 1.6km from our door and an easy 20 min walk or the bus can take you there in 5 minutes. Also bus to Hurstville, Campsie, Roselands, Parramatta and many other locations. We have parks and a river near by for walks. Shops are around the corner. Train station airport line east hills is only 1.6km away. Large back yard and a deck for just veging out on. I live at home. We have a dog and three cats so you must like animals. 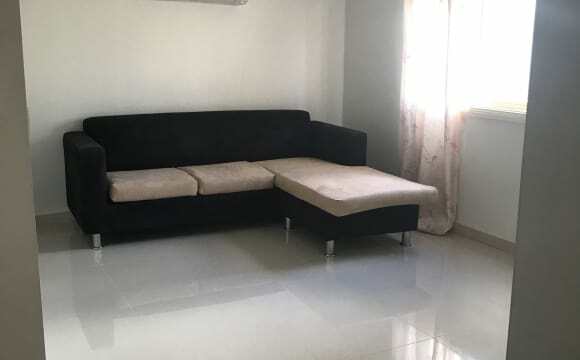 I am looking for a girl o share 2 bedroom unit , fully furnished and air conditioning included. Its a cosy environment perfect for someone enjoys peace and quiet. Easy walks to the parks, train, bus stop and West-field. Easy going working people living in the unit, very respectful and understands the privacy for one another. If you are interested, please message within and I will get back to you soon I can. Any nationality welcome. 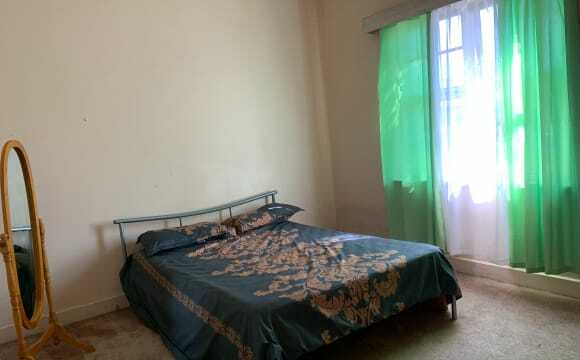 LARGE ROOM, FULLY FURNISHED with brand new queen bed and mattress, wardrobe and TV. Share kitchen, bathrooms, toilets, living room and massive back yard. All bills included. Massive window, full of light and air. Unlimited internet. Rent $180 and $190 per week, all bill included (electricity, gas, water and internet) Available mid April now. Long term tenant refer. 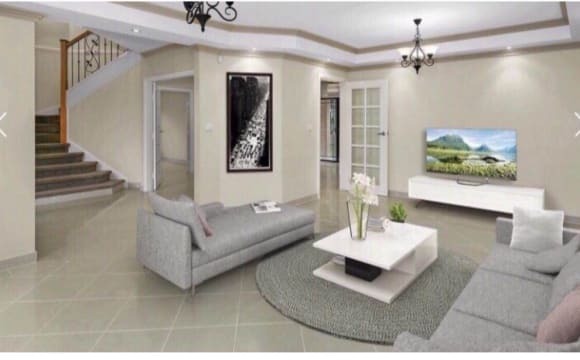 This 6 bedroom house is fully furnished with 2 bathrooms and 2 toilets. It is located a convenient location within minutes walk from Riverwood station, shopping plaza and multitude of shops. With a round 35 minute train ride to central station via domestic and international airport it is very convenient for commuters. Especially you can do grocery shopping, dining at some of the popular local restaurants, going to the gym, club, pub...as soon as you get off the train. There are plenty of park and sport fields around. Bush walking along Salt Pan Creek reserve is a great way to chill out after a long day at work. For motorist, access to M5 is 5 mins down Belmore Road.